Charles began his Marriott career in Food and Beverage Operations over 28 years ago at the New York Marriott East Side (formerly known as the Halloran House Hotel). He has held a variety of Leadership roles in Restaurant and Bar Operations, Catering Sales and Event Management which include Director of Event Management at the New York Marriott East Side, Newark Liberty Airport Marriott, Director of Event Planning and Operations at the Princeton Marriott Hotel and Conference Center, Director of Hotel Operations at the Raleigh Crabtree Valley Marriott in North Carolina and Charleston Marriott Town Center in Charleston, West Virginia. 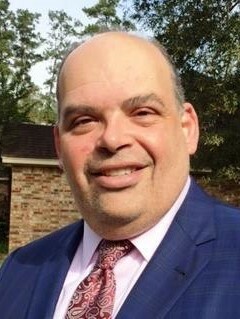 Most recently, he held a position of Director of Hotel Operations at the Woodlands Waterway Marriott Hotel and Convention Center in the Woodlands Texas. Charles is excited to have the NCED property as his first General Manager assignment and looks forward to working with the community of Norman. Charles and his youngest son Charles Jr. call Norman home while his two older children attend college. Pasquale, a senior at Western Carolina University and Maria, a sophomore at University of North Texas.